On the 11th Annual National Day of Silence, Erin Davies was victim to a hate crime in Albany, New York. 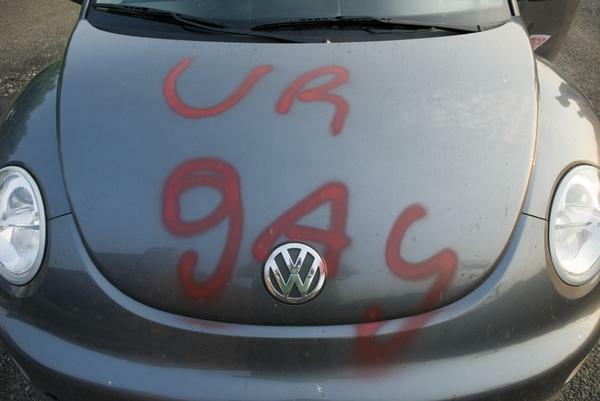 Because of sporting a rainbow sticker on her VW Beetle, Erin's car was vandalized, left with the words "fag" and "u r gay" placed on the driver's side window and hood of her car. Despite initial shock and embarrassment, Erin decided to embrace what happened by leaving the graffiti on her car. She took her car, now known worldwide as the "fagbug," on a 58-day trip around the US and Canada. 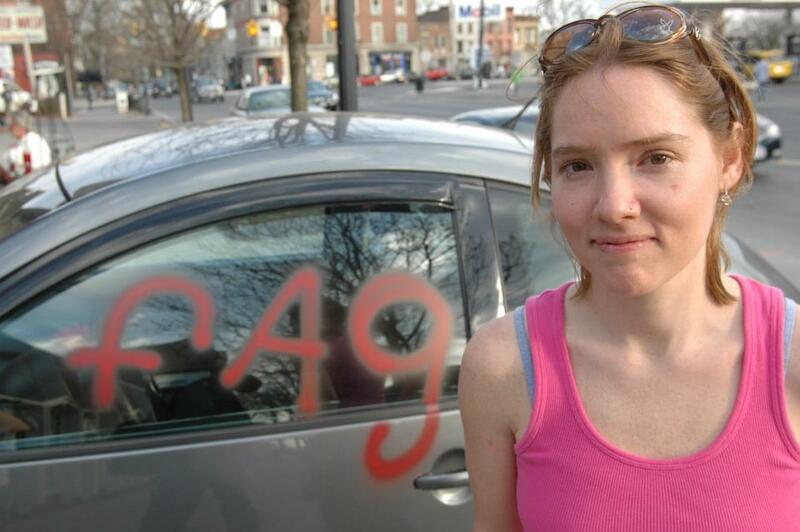 Along the way, Erin discovered other, more serious hate crimes, had people attempt to remove the graffiti, and experimented with having a male drive her car. After driving the fagbug for 1 year, Erin decided to give her car a makeover. Watch the trailer, view the film on Netflix, Hulu, Snagfilms, Epix, or Youtube. To purchase the DVD, click here. If you like "Fagug," check out the 2014 sequel titled "Fagbug Nation."